Starting Sparks is a link-up aiming to spark your creativity with monthly prompts. For rules, regs, Ts, Cs and all other info, look in the Starting Sparks tab. 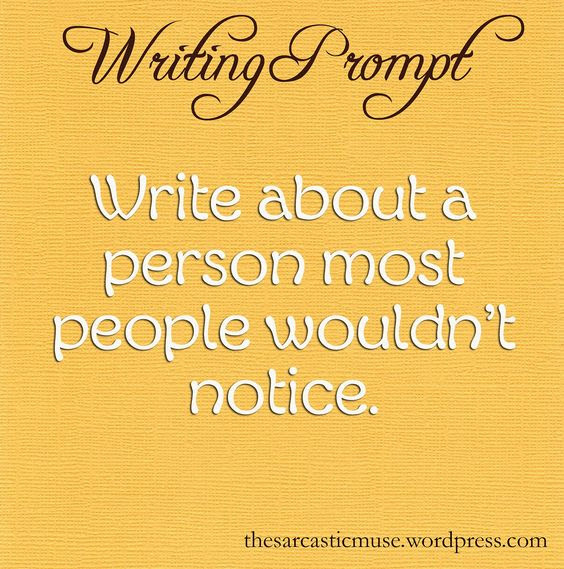 The April prompt. If you'd like to link up (we'd love to have you! ), click here for the April post. This month I am once more delving into A Room Alone, a novel in its planning stages. It's about four siblings, the Ruskins, from Surrey in the south of England. I've already posted about two of the four: Matthew, the eldest, and Teresa, the second. Edmund Ruskin is the youngest, aged 15, and this story is about a friend of his. He goes to a boys' boarding school on the south coast of England (apparently I'm unable not to write about the sea). Where exactly it is I've not worked out yet. It's called St Anthony's, so named for the patron saint of travellers, the poor and lost things. The name Anthony also makes me think of this lovely song by this lovely band, and the song also reminds me of Edmund. You see, everything works together for good. This story is about a girl called Beatrice. When A Room Alone was still in its earliest foetal stage, I had a vague idea about a family called the Kiteleys who would maybe spend the summer with the Ruskins. At this point, they have manifested themselves into Mr Kiteley, an English teacher at Edmund's school, his wife and their two daughters. Beatrice, the younger, will become Edmund's best friend. I wanted to name her after a character of Shakespeare's because a) her dad is an English teacher and b) Shakespeare = life. Beatrice is the FMC of Much Ado About Nothing, which is a comedy. The play is hilarious and has a brilliant relationship and Beatrice is just an awesome protofeminist. I love that play. However, I was considering whether Beatrice Kiteley was a bit much. The novel already contains a Teresa Ruskin and a Charlotte Fitzmaurice, and is adding a Beatrice Kiteley to that mix a bit too whimsically English? Or indeed, a bit too white-upper-class? I've been thinking I could change things up a bit by turning Mr Kiteley into Mr Seth, an Indian man, so that the girls are biracial. Beatrice Seth has a nice ring to it, even if I'd be sad to let go of the Kiteleys. Or maybe I could give her a Jewish European mother (because there hardly ever seem to be Jews in YA. Is it just me who's noticed this?). But then I was thinking about something else. Matthew's best friend is Yousef, a second gen Pakistani Glaswegian boy. In my head the shadowy figure of a Singaporean girl is emerging as Teresa's friend at uni. As for Felicity (Ruskin #3), the elder Kiteley/whatever daughter goes to her school and they become friends. So if the Kiteleys, or rather Seths, are indeed half Indian, that gives all four MCs an Asian or British Asian best friend, and I'm worried that that feels a) either like I'm trying too hard with the diversity or b) weirdly and unpleasantly colonial, as in white MCs with Asian sidekicks? I've often read complaints that characters of colour are put into books “for diversity's sake", but never get to be the MC themselves. And I don't want to subscribe to that. But maybe I am over analysing everything? What do you think? Beatrice Kiteley? Beatrice Seth? Beatrice it-doesn't-matter-because-she's-not-defined-by-the-colour-of-her-skin? I kind of feel awful that I've just written so many paragraphs about race, because a) the diverse books campaign should not make writers feel pressured/anxious about their characters of colour, and b) surely the whole point is to break down racial barriers, rather than focus on them? But it is important and I would value some second opinions. Now maybe I could actually get on with the story. Beatrice is pronounced BEE-ah-tris. There is immeasurably more left inside than what comes out in words. She existed in three places. The first was in the margin, the blank border of each page. The negative space in a book: breathing room, respite for the reader’s eye, keeping the text from falling off the edge. To Beatrice, the cliffs outside St Anthony’s were a margin of sorts. On them the wind purged the trees and the scrub grass and whomever walked through it. The trees leaned backwards, stunted by centuries of squalls, and the sea threw itself against the cliff with reckless courage, a lover, take me, take me. The lines of grass and branch and rock were wild and unshackled, the greys and greens stretched out against the steel-coloured ocean. On the clifftop a walker became insignificant, surrendering to the blast, vanishing into the margin. It was Beatrice’s favourite place. The sea itself was a creature of legend that laughed and roared from its depths, a blue void of joy and chaos. It became the blood that pounded in Beatrice’s ears, calling to her, a benediction of salt. This was the tipping point, the place where words ran into themselves and died on the rocks. The cliffs were the margin that protected the land from the sea. When Beatrice faced the ocean, the land behind her rolled off in regulated fields, hedgerows and trees and telephone wire. The clifftop was the place where country and ocean met in a burst of wild orchestral sound. Then there are the spaces between the lines themselves. Here too Beatrice dwelt, in the gaps and the pauses and the things people didn’t say. She was always fascinated by the unsaids of books, the truths and suggestions that the writer withheld. Beatrice lived in the page itself, moving amongst nouns and verbs and adjectives. Within St Anthony’s’ halls she navigated these lines, slipping in and out of silences. Sometimes Beatrice felt she was a ghost, the patron saint of the unseen and the unspoken. She had lived at St Anthony’s almost all her life. Her father was an English teacher, and she and her mother and her sister lived in a small house on the school grounds. Beatrice had grown up running on the clifftops, an Enid Blighton childhood, ice creams in the summer and a dinghy in the bay and the nights velvet black and huge with stars. Her memories smelt of salt and cut grass and bread baking, laughing with her sisters, everything bathed in yellow light. She went to primary school in the village nearby, and now those years seemed a long procession of daisy chains and skipping over the cliffs in warm weather. The age of twelve came with a trunk packed and a new phone bought and a train to join her sister at her school in Surrey. A disastrous term of cold hallways and loneliness and sobbing late at night, and then her return to St Anthony’s and her parents. Now Beatrice’s mother taught her at their kitchen table, to a soundtrack of laughter and old jazz and the kettle boiling for cups of tea. She had gone into the world and the world had sickened and scared her. The sea was her home and she read and was happy. Her mother could not teach her everything, and Beatrice ventured into St Anthony’s itself for some lessons. Here she felt invisible. It was a boys’ school, rugby and cricket and jam roly-poly; it felt like a Roald Dahl novel, a perfect fossil from the twentieth century. When her parents first suggested she join classes Beatrice was terrified, the noises making her jump, the boys a seething mass of shouts and testosterone. They were young teenagers, amazed to find a girl in their presence, brimming with the adolescent mix of lewdness and naivety that renders itself absurd. But the act of disappearing, of folding into the gaps between the lines, had always been Beatrice’s talent. She was like a fairytale girl with a magic vanishing spell, and soon the boys of St Anthony’s grew used to her presence and forgot her. She became the watcher, unobserved; the keeper of those unsaids lying between the lines and phrases. The last place was the words. The words were the magic, black symbols rearranged again and again to create thought and feeling and truth. In the years alone with her books whispers and sounds floated to Beatrice’s ears, slivers of consciousness translated across centuries and seas for her and her alone. It was as if a voice stretched from the page to greet her, a hand reaching out to take hers. Beatrice felt herself a fragment in a vast creature of words, a breathing being that spanned thousands of languages and years, an ocean of thinking. These were the words, the words that Beatrice devoured alone in her yellow room, the words that patterned her thoughts and her heart, speaking inside her. The margins, gaps and words wove together, each needing the others, and Beatrice dwelt among them, a girl of books and ghosts and the sea. Right?! You basically CAN'T DO ANYTHING RIGHT. I *think* the Beatrice issue is resolving itself organically, and also I'm not going to write the book for a while (I've got a trilogy to finish first!) so hopefully the answer will present itself before I do. But it is an area of debate. Victoria, you are so nice, thank you so much. That really is a lovely comment, and to think that someone would read something I've written and say “yup, I'm going to spend money on this" IS AMAZING. THANK YOU THANK YOU THANK YOU. YESSSS!!!!!! I didn't know you'd read THT?!?!!!! Obviously Offred is marginalised in that she's objectified, her words are suppressed (and they're suppressed once and for all in the Historical Notes when her story is devauled: “I hesitate to use the word document" Pieixoto, the historian, says of it. Did you know that Pieixoto is an allusion to a character from a Brazilian novel who reincarnates every century? So he represents the fact that misogyny reincarnates in every culture. ), whereas I hope Beatrice will be a bit more empowered. I think she chooses her position in the margins more than Offred does. But of course, she's still overlooked and unvalued by a lot of people, who think that because she doesn't say much she's not got much going on in her head. That THT comment made me smile so much. I love that book! Your writing is gorgeous, loved this! Beatrice seems to be quite the character. That was a lovely piece. You have such a musical way of writing. As for diversity, I wouldn't worry too much about it. A character will usually tell you straight away if they are meant to be a certain ethnicity. Thank you, that's very kind of you. I'm not actually writing the book at the moment and won't be for a while (I've got a fantasy series ongoing that I'm finishing first), so I'm hoping it will sort of sort itself out ... ! I was out for lunch today and saw a very cool Indian woman with amazing hair and I did think to myself, “that's Beatrice's mother!". So yeah, I think the question has resolved itself. But I doubt it's crucial to the plot, anyway. Ah, so this is a developing idea that your squirreling away for the moment, eh? Well, I'll be happy to read about anything you have. I'm really enjoying your writing style and ideas. Thank you, I'm sure I'll come again! I have no blog of my own, but I certainly enjoy haunting other people's. Yes indeed! I have posted about it a few times (I believe this is the fourth snippet I've shared) and am currently just thinking about the various characters and their arcs. But my main project is my high fantasy trilogy. AH! I love this! I can't even pick a single line to just say that I love. I like it all. I like how she likes the things unsaid. The subtleties and blank lines left after a conversation. How she knows how to be invisible. To observe but be unobserved. I like her. And relate to her. As for the diversity thing. Don't overthink it. If she feels like she ought to be biracial, then do it! But as you said, don't write diversity because "it's the thing to do." Let Beatrice be Beatrice. Or that's my vote at least. Thank you! “Subtleties", that's a good word. I wish I'd thought of that when I was writing XD I like Beatrice, too, she's a babe. Brilliant! I love that we're seeing more of A Room Alone. Thank you! I am getting very invested in this novel. So excited to one day write it.